In 2011-2012, the IwB partnered with the City of Markham, Ontario to look at ways to make Markham more environmentally sustainable, more heterogeneous in terms of housing stock, and, generally, to develop new forms of social-cultural life in the city. The premise of the Main Streets of Markham Charrette was to ‘make roads into communities’ by developing infrastructure and social programming in key main streets of Markham. The charrette was held from February 24 to 29, 2012 and brought together 110 local and international students as well as more than 40 professional advisors. The goal of the charrette was to design a new kind of a main street in Markham that balances the best of the city’s historical, urban, and suburban street elements. Five major streets in Markham were chosen and two teams were assigned to each site. Each team was also given a focus area to incorporate into their proposal: culture, economy, infrastructure, civics, or ecology. By developing infrastructure and social programming in the main streets of Markham, we can make roads into communities. At the outskirts of Toronto, Markham is an ‘edge city’ in many respects, with homogenous residential areas, large distances, and little density to promote pedestrian culture. Markham has an incredibly diverse and growing population of more than 300,000 citizens, over fifty percent of whom are Chinese and South Asian, and many of whom are also new immigrants. The city holds a powerful position as a high tech capital in Canada and it has one of the best maintained historic zones in its Unionville district. Markham’s challenge as a city is that it lacks a strong sense of community. In this sense, it is an ‘incomplete’ city that needs to engage and bring together its citizens. In 2011-2012, the City of Markham was a major project partner of the IwB. 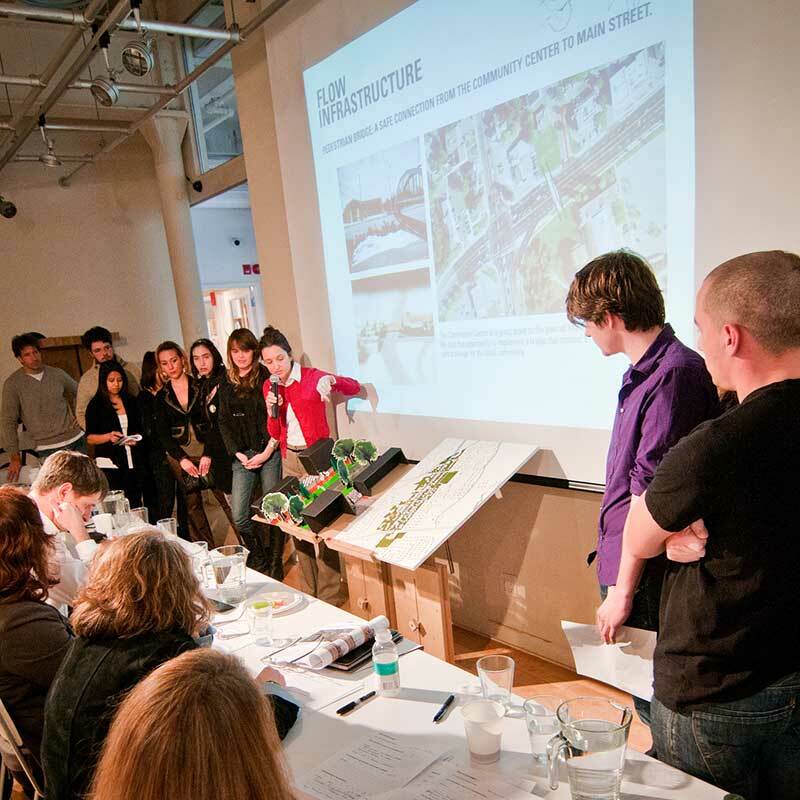 Throughout the academic year, the IwB students generated ideas for infrastructure and service design improvements citywide to promote public pride and engagement in Markham’s public spaces. Addressing the car-centric culture in Markham became a major part of the year because car-centricity in Markham has produced whole stretches of the city where there is little public space for citizens to interact. The Main Streets of Markham Charrette focused on the idea of ‘making roads into communities.’ Ten charrette teams were assigned to five different sections of Markham’s major roads. 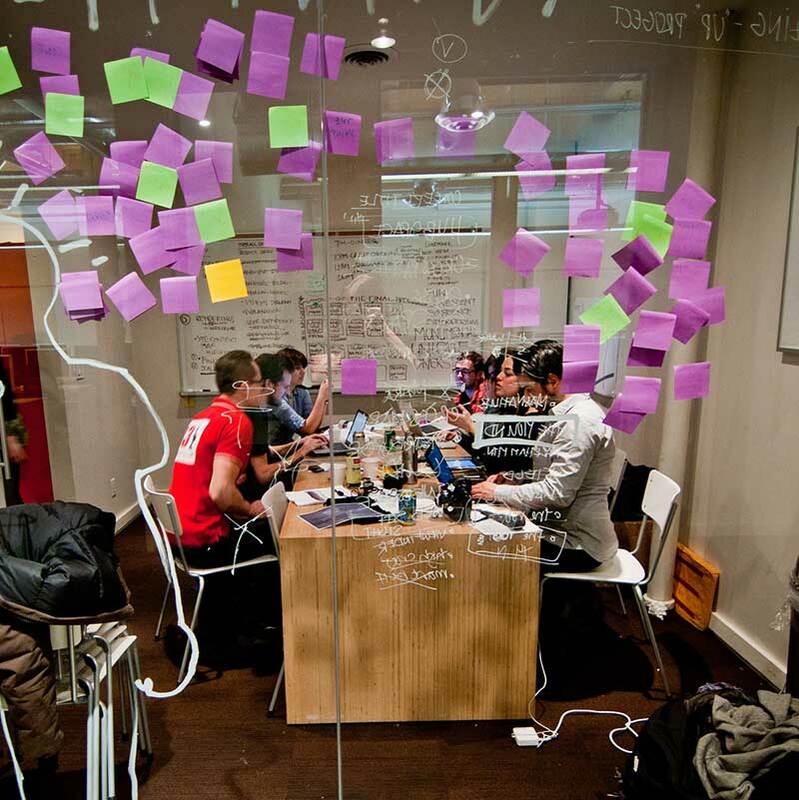 Each team received a design focus from one of the following categories: civics, ecology, culture, economy and infrastructure. The teams were asked to design great main streets that would bring together people, build community spirit, support economic development, and embody the identity of the neighbourhoods that surround them. 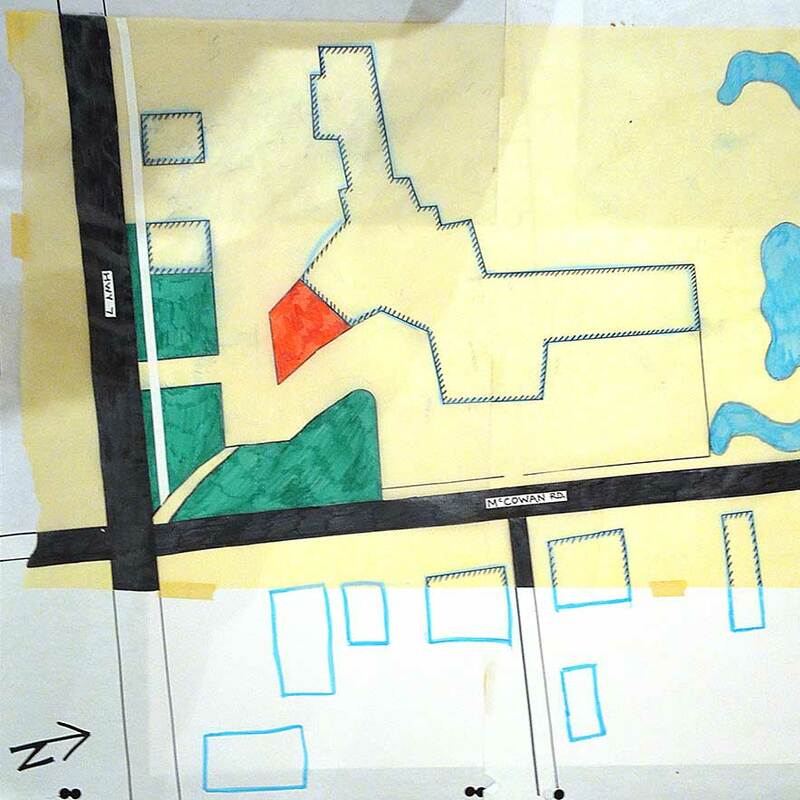 Charrette teams were asked to deliver a detailed project brief that included a big concept for the site, a land use diagram, a signature building, a physical model as well as timeline and feasibility estimates. The focus was to create more mixed use elements. Teams presented their final design solutions to a panel of international and local faculty and professionals, including municipal officials and staff of Markham. In just five days, the charrette groups were able to create strong design concepts for each of the sites that demonstrated innovative new models for main streets. The teams’ proposals are summarized in the Main Streets of Markham Charrette Report.